If you were involved with NYFW last month in any way, chances are you've been to Up&Down. Barely a week after officially opening, the club hosted after-parties for Prabal Gurung, Jeremy Scott, Rag & Bone, Public School, Galore Magazine, and many more. However, the success of the venue didn't end when bloggers hopped on a plane to London. The unique club has been packed night after night, with guests coming to explore the bi-level space filled with artwork, secret rooms, top DJs in constant rotation, and surprise performances. 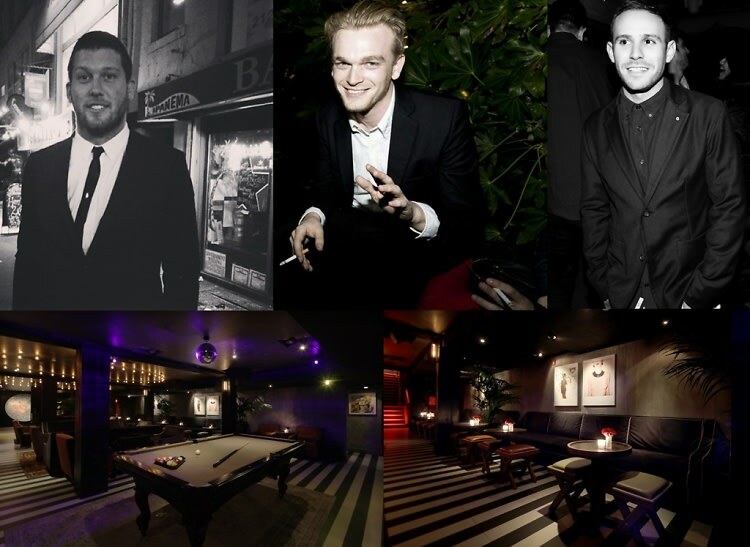 We caught up with Ronnie Flynn, Michael Goldberg, and Eamon Kelly, Butter Group's all-star team enlisted to run the venue along with owners Richie Akiva, Scott Sartiano and Ronnie Madra. They have spearheaded the club's programming and design, but you're also likely to catch the charming nightlife veterans partying with the crowd on any given night. They let us in on everything you need to know about Up&Down, the joys of creating fun as a career, and the golden age of nightlife.